Although the more affordable homes listed on the market struggle to find owners, the luxury home market has improved in almost every city across the nation, including New York City. Own a luxury penthouse in Manhattan and you join an elite group of millionaires and celebrities with cold hard cash to throw down. This small pool of home buyers — mostly made up of foreign people — has the money to purchase coveted properties in the Big Apple equipped with full-service amenities, multi-floor layouts, impressive views and large outdoor areas. Want to take a sneak peek at some of the most luxurious penthouses in Manhattan? Welcome to 535 West End Ave, New York, New York. Located in the desirable Upper West Side of Manhattan, this pre-war dwelling place perched on the 20th floor takes luxury living to a whole new level. The 13,800-square-foot penthouse features nine bedrooms, 11 full bathrooms, two and a half baths and additional living quarters for the staff. 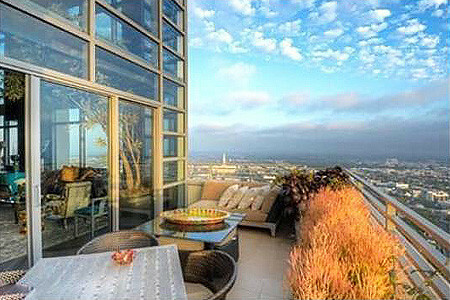 Full-service amenities include a gym, an indoor swimming pool and a game room. Unique to apartments in Manhattan, this penthouse also boasts a 2,000-square-foot rooftop terrace accessible by an elevator. 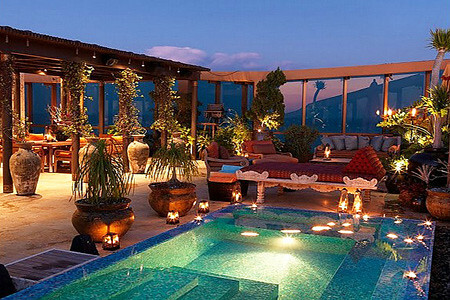 The impressive terrace features a fireplace, a grill and a wet bar. Sounds good? 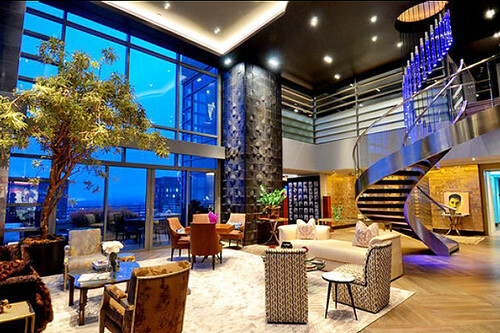 This luxurious penthouse can be yours for a whopping $37.5 million. And if 535 West End Ave. caught your attention, there are other posh New York penthouses on the market that deserve mention, too, such as the $37.5 million condo at The Plaza, a $44.95 million apartment in the Time Warner Center, and a $51 million penthouse on the Upper East Side of Manhattan. The Plaza Hotel penthouse is a triplex property overlooking New York City’s Central Park and features four bedrooms, a spiral staircase, a library and a private elevator with access to the Plaza.